Ladies & Gentlemen I love this shop and I know you will too. I introduce you to a shop called Rose Marine. 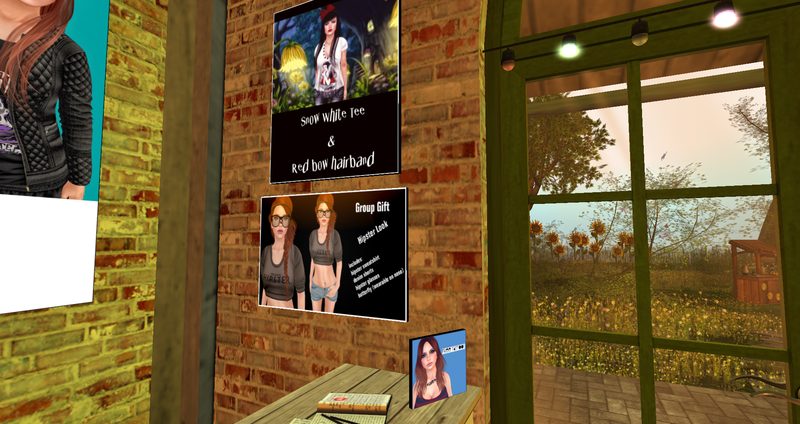 They have Midnight Mania Boards and Lucky Chairs for both Men & Women, with high quality mesh clothing and outfits with Shoes for Slink feet for Men & Women. So come on down Ladies and Gents and lock this Male MM Board down, and play some Lucky Chairs, Win some Full Outfits!! ~RedWrathBytes~ is still working on that Logo! (( I Am Fashion = IAF)) Landmark for the store is here —> IAF- In-World Mainstore Landmark IAF offers Men and Ladies Fashion, Skins, Accessories, Poses, Shapes, as well as Group Gifts every Month. Right now they have 10 Group Gifts Available which are shown below in the photo and the good thing is it’s FREE to join the Group. To join the IAF group click the link here —> IAF In-World Mainstore Group Joiner . You can check out there Marketplace by clicking on the link here —> IAF Marketplace or you can pop on over to there store Blog to get all the juicy details about the shop they have to offer.